In this engaging, immersive and interactive online programme, Gavin Presman shares his ethical and mutually-beneficial approach, showing you how to prepare for and engage in every negotiation to achieve better results for yourself and others – whether you’re drawing up a contract with a new client, buying a house or, often the trickiest of all, settling family disagreements. 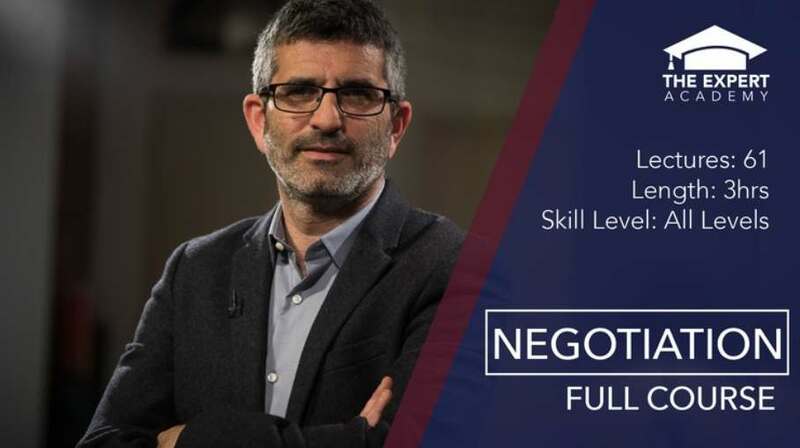 With step-by-step guidance, illustrative examples and checklists to refer back to, this is a practical and empowering online training that will improve the negotiating skills of any learner, enhancing personal and professional relationships in the process. What people are saying about this course? Get your Free Udemy Course on Negotiation: How to Craft Agreements that Give Everyone More by clicking here.